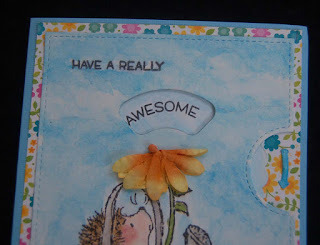 After buying the Lawn Fawn Reveal Wheel die set, I couldn't wait to try it out. I wanted to keep the image simple so I could concentrate on assembling the mechanical parts. It was surprisingly simple to put the turning wheel into action with the use of a mini brad (hidden under the flower). Here's a close up of the wheel, that when turned reveals four adjectives. I used Kuretake watercolors to paint the background and Copic pens for the main image. The Misti stamping tool helped to position the words so they would fit in the window. The floral print paper came from a Doodlebug Designs pack (sold at HM BFC) which has many lovely designs for summer. 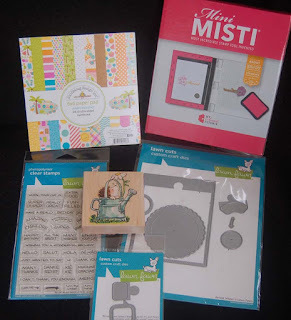 I hope you'll check out all the inspiring summer craft products at HM Ben Franklin Crafts and see what you can create. Happy Summer Crafting! Wow Lynn, you have some mad water coloring skills! 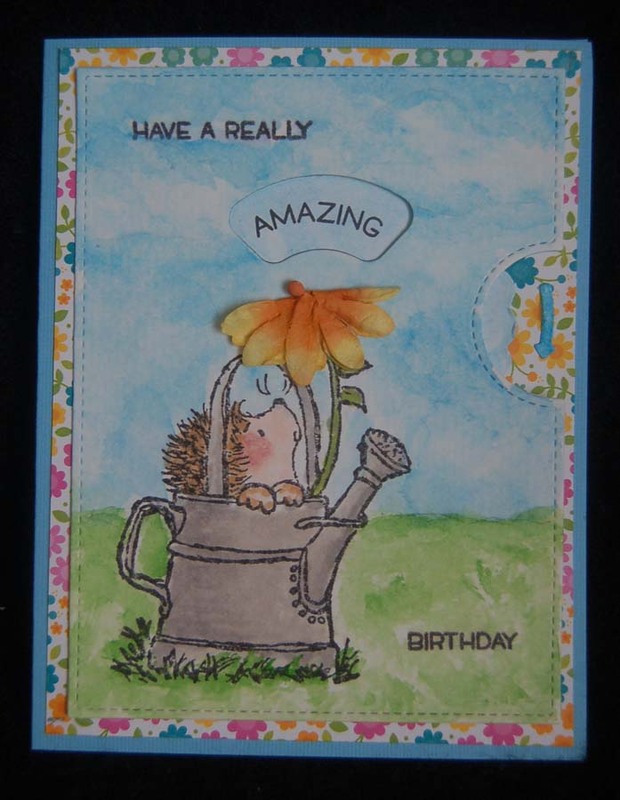 I really love the water color painted sky and grass background you created for your card!!! 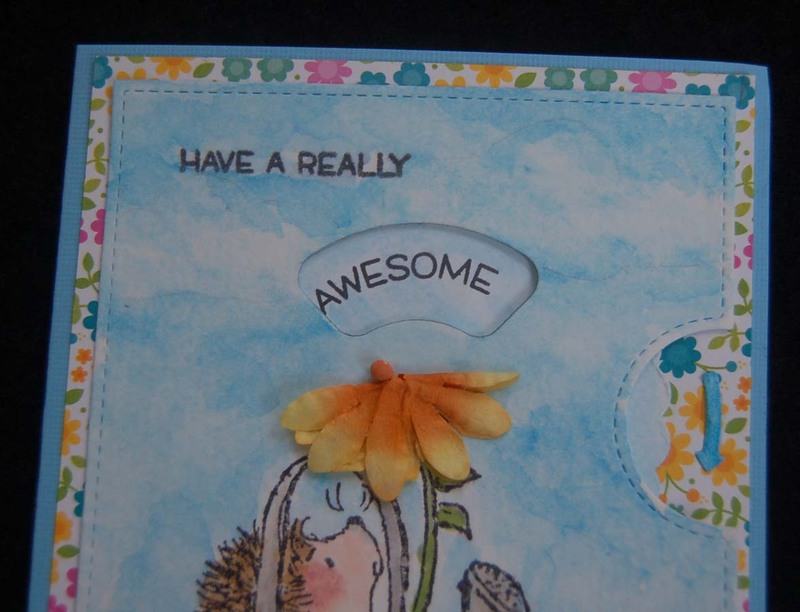 I'm so happy to see that Lawn Fawn is making more interactive card dies and making it easier for us to create fun cards like this one! Awww, this is soooo cute Lynn. You did a fabulous job with the watercolors. What a fun scene. What Is It? Is It Ready Yet?